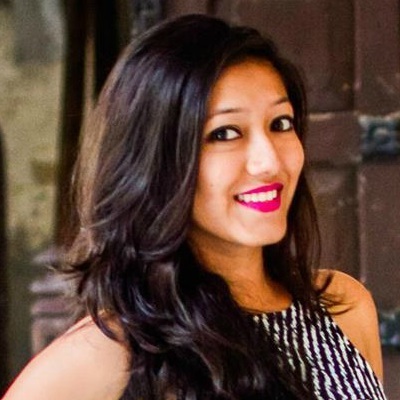 7 Awesome Ways To Style Your Palazzos - Not Just With Kurtis! Are you bored of wearing your palazzos the same old way? Want to try something new and different? Well, we assumed as much when Pranja asked us, "What kind of tops should be worn with palazzo pants?" If you're looking for an answer to the same question, let us help you out. We bring to you seven super stylish ways to style your palazzos this season like your favorite celebs. Here, have a look and try these super chic styles. You can thank us later! Image: Bipasha Basu on Instagram Bipasha Basu looks so pretty in this gold and white outfit! She paired a white poncho top with white palazzos to make it look like a jumpsuit and we are loving this look of hers. If you try this white on white look, we are pretty sure it’ll look super classy! This look is perfect for an evening outing to a fancy restaurant or even for a party! 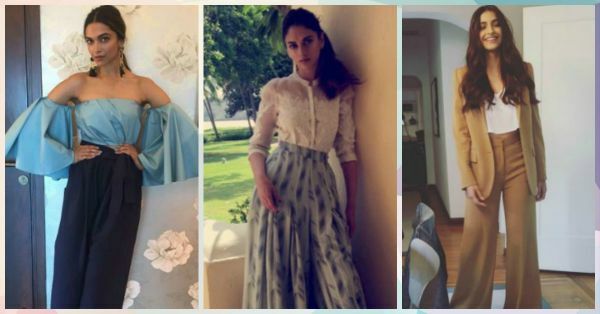 Image: Deepika Padukone on Instagram Deepika never fails to impress us with her amazing outfits. She has tucked in her off shoulder top into a pair of cropped palazzos and it is giving us major style goals with this look. You can even try this trendy look with an off-shoulder crop top and it’ll look great. Accessorize your look either with a pair of chandelier earrings or a statement neck piece. Also read: Skirt, Jacket, Palazzos: FAB Ways To Use Your Mom’s Old Sarees! Image: Kajal Aggarwal on Instagram Kajal Aggarwal is wearing two-coloured palazzo pants in this picture and doesn’t she look amazing?! This a perfect way to get rid of the boring plain palazzo look. Even though it seems a little risky, with the perfect combination of colours, anyone can rock this look. Don't worry about finding a top for these, a classic white shirt is all you need! 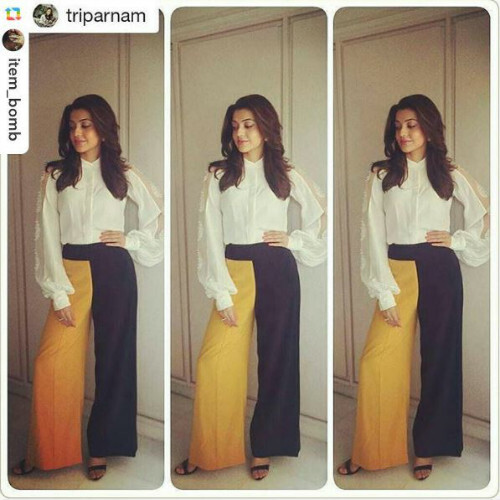 Image: Parineeti Chopra on Instagram This is the simplest way you can style your palazzos. Parineeti Chopra has teamed up her cropped palazzos with a pair of basic white sneakers and she looks super cute. This sporty and casual look is perfect for a weekend outing! And not to forget, super comfy! Image: Aditi Rao Hydari on Instagram We love how Aditi Rao Hydari has styled her pair of printed palazzos with a sheer lace shirt. She looks totally gorgeous, as always. Flared printed palazzos are chic, easy to carry off and super comfortable. All you have to do is team them with a solid coloured top and you’re good to go. Also read: 9 AMAZING Pants To Wear Instead Of Your Jeans – Happy Summer! 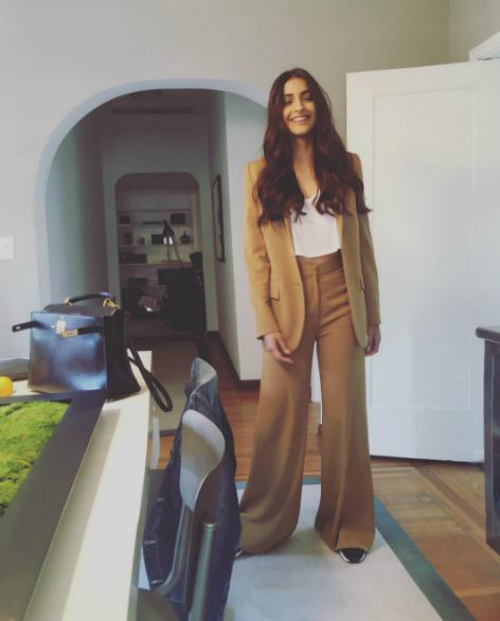 Image: Sonam Kapoor on Instagram Sonam Kapoor, the ultimate style diva, shows us exactly how to rock a formal look with palazzo pants. She has teamed flared palazzo pants with a crop top and a formal jacket. This look is perfect for office meetings and presentations - or just any time you want to make a great impression! A pair of basic heels along with this outfit will make you look amazing. Image: Athiya Shetty on Instagram If you're done pairing up your palazzos with tops, here's another experiment for you! Athiya Shetty has beautifully styled her palazzos with a tiered anarkali kurti and she looks stunning as ever. For someone who has a slender frame like Athiya's, an A-line or tiered tunic would look perfect with a pair of palazzos. It’s comfortable and best suited for summers.